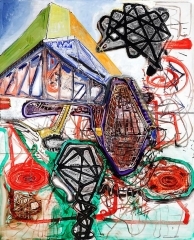 David Nolan Gallery is pleased to announce the opening of Steve DiBenedetto’s (b. 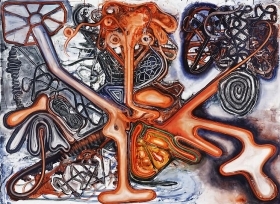 1958, American) new exhibition of paintings and drawings entitled “Who Wants to Know?” The show will feature 7 paintings and 6 drawings from the last year. 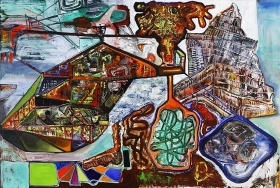 Steve DiBenedetto’s work defies easy categorization. 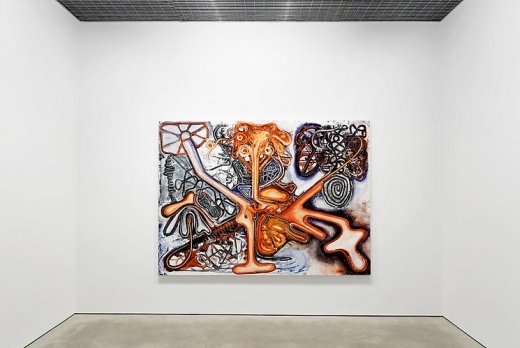 His deliberately ambiguous approach creates dizzying and stimulating visual experiences that are always questioning notions of traditional painting. 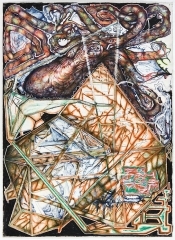 In the works presented, we see only glimmers of the iconography for which he has become well known: the helicopter, octopus, and buildings. 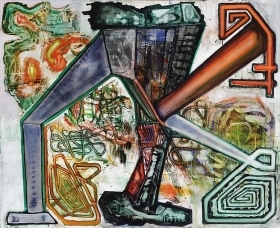 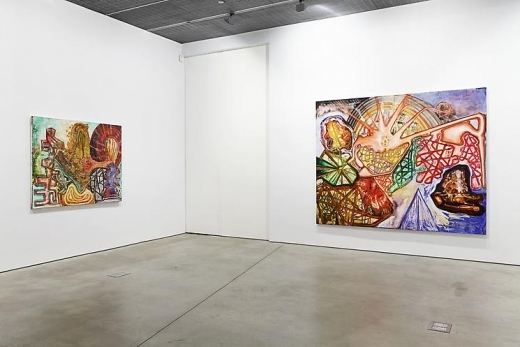 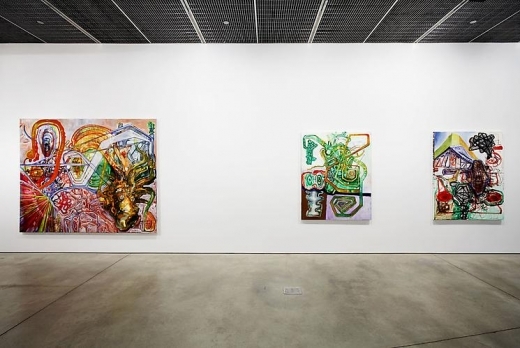 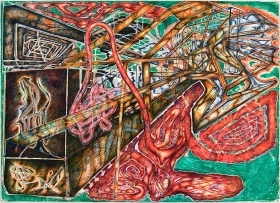 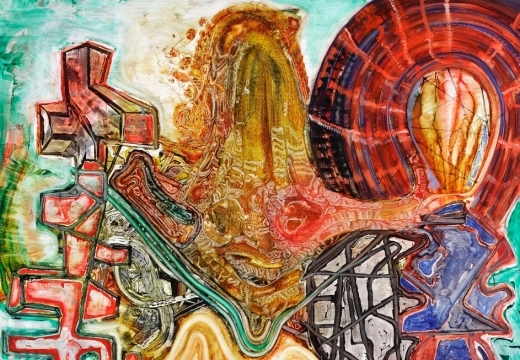 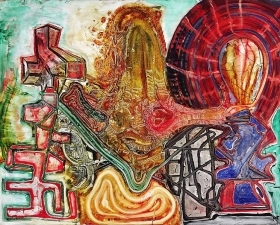 Although traces of these elements are still present—a tentacle, a box-like glyph of a skyscraper, a blur of spinning helicopter blades or a ferris wheel— the overall feeling is that of a wholesale liquefaction of the references and symbols that have dominated his artistic arsenal. 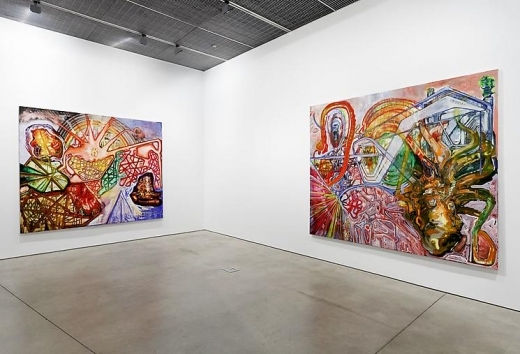 Today, the imagery in his paintings emerge out of a visionary impulse where boundaries have melted away, producing an experience that represents pure consciousness and attempts to break through the edges of the canvas and into reality. 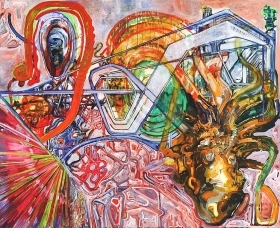 A brilliant colorist, DiBenedetto creates indescribably vibrant yet weird combinations that dazzle the eye and excite the mind. 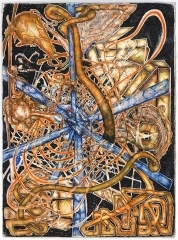 The works on paper, drawn obsessively with colored pencil, are small windows through which one can view the conflict and tension that have become DiBenedetto’s signature. 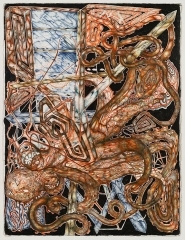 Steve DiBenedetto received a Louis Comfort Tiffany Foundation Award in 2002 as well as a Rosenthal Award and Guggenheim Fellowship Award in 2003. 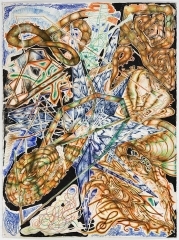 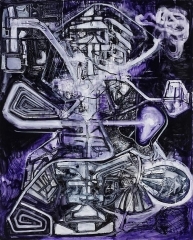 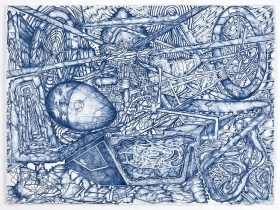 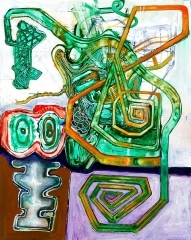 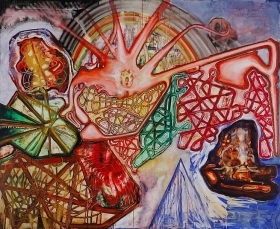 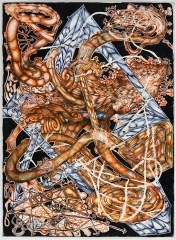 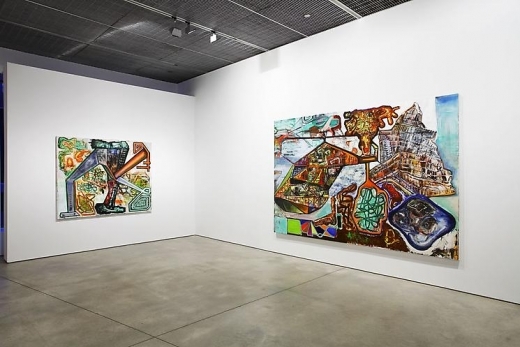 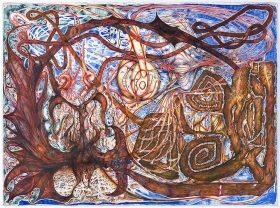 In 2005 he was included in a noteworthy group show at The Whitney Museum of American Art, entitled “Remote Viewing.” DiBenedetto’s works are included in numerous museum collections such as the Museum of Fine Arts, Boston, the Museum of Modern Art, New York, and the Whitney Museum, and his paintings and drawings have been exhibited in the United States and internationally. 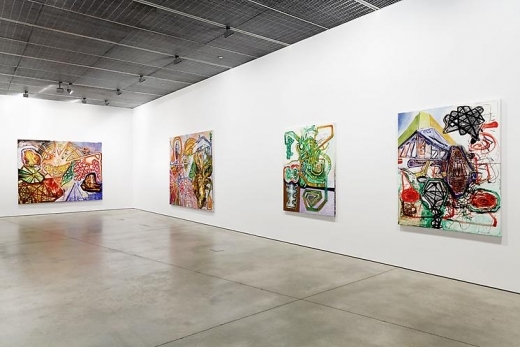 The artist resides in New York City, and this is his third solo exhibition at the gallery.